Senator JV Ejercito yesterday sought for the immediate re-exportation of the shipments of toxic waste imported by Chronic Plastics Inc. back to Canada. He also scored the government’s Interagency Task Force, composed of the Bureau of Customs, Department of Foreign Affairs and Department of Environment and Natural Resources, for reversing its decision and seemingly giving favor to Chronic Plastics Inc. in dumping the toxic waste at a sanitary landfill in Capas, Tarlac. “We export great minds, but we accept trash from other countries. Ano na lang ang mangyayari sa bansa natin nito? 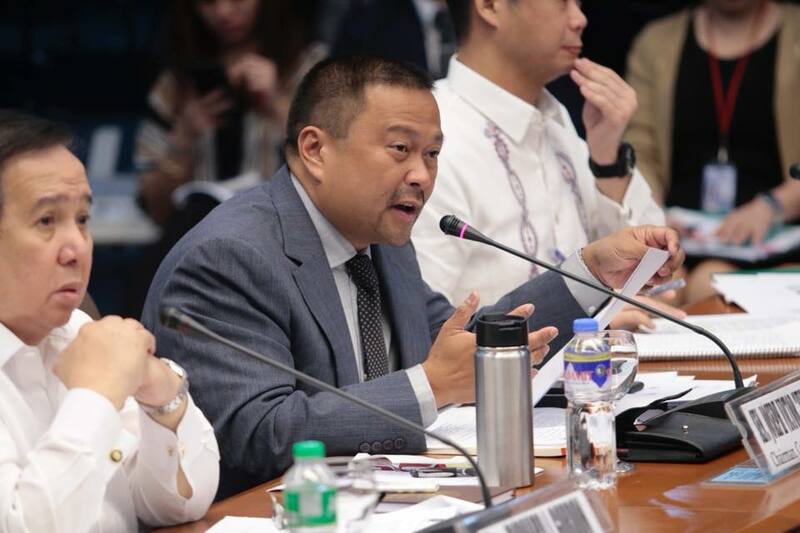 Hindi tayo papayag na gawin lamang tambakan ng basura ng ibang makakapangyarihang bansa ang Pilipinas,” Ejercito said as author of Resolution 1440 at the inquiry of the Senate Committee on Environment, Wednesday.